1. 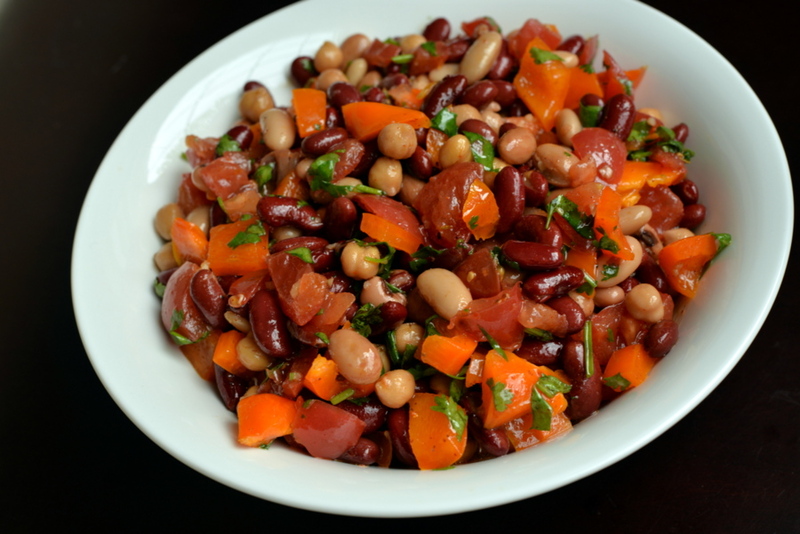 In a large bowl, place the rinsed beans along with the chopped bell pepper and tomato. Add the corn, if available. I added the corn directly before serving since we were grilling it for the barbecue. 2. In a separate small bowl/mason jar, whisk together the oil, lime juice, chili powder, garlic, cayenne and salt. Pour dressing over the bean mixture and stir to coat. Stir in the fresh cilantro. Allow to marinate at least 1 hour, if not longer, in the refrigerator. 3. Prior to serving, add the avocado (and freshly grilled corn). Stir to combine. 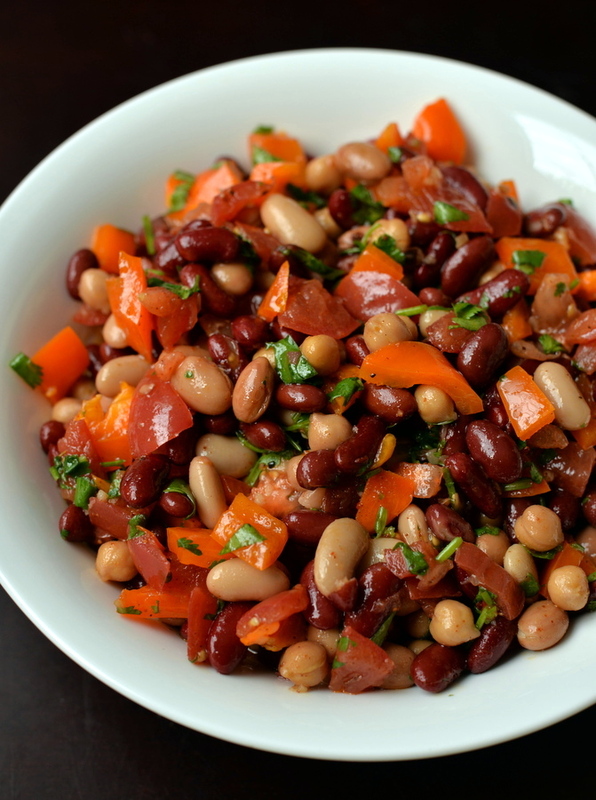 I love bean salads because they are more of a complete meal and leafy salads. Love the flavour combo! This sounds like a very filling salad with a delicious spicy kick!! I love beans. 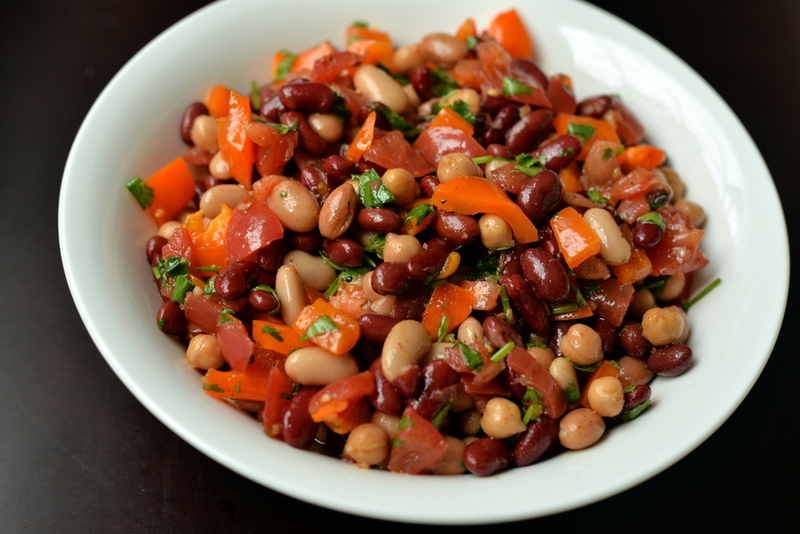 They are so incredibly versatile and this salad sounds delicious. I am liking this, i know its still summer here, but its a very autumnal salad and very very appealing – I am so liking the dressing. Thanks for sharing with MLLA the round up will be up tomorrow. I plan to also morph this into soup once the weather changes…think it will be spectacular.